I’ve been a member of the Transformational Leadership Council for the last 12 years. It is a group of innovative and out-of-the-box leaders that meet twice a year from all around the world, and last week we met in Napa Valley, California. I use this time to expand my mind, brainstorm new content for my blog and articles and most of, all learn from the incredible teachers around me. It can also be related to a very long day of making many decisions. If you’re making tough calls all day long, the quality of the decisions will drastically diminish by days end. Or it might play out over a very long period of time (weeks, months, or years) where you are confronted with one challenging decision after another. 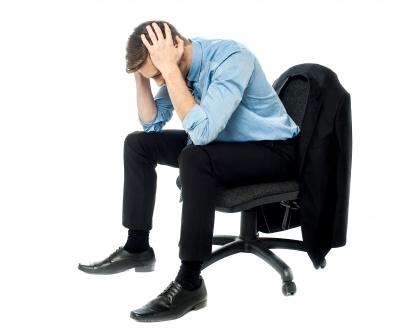 Over an extended period of time, you feel exhausted and drained from having to make so many decisions about so many different issues that it is easy to experience “burnout” as a result. In running a global organization with an incredible amount of competing demands, this last consideration really rang true for me. I often felt that the serious nature of the ongoing decisions that needed to be made, could create a massive amount of long-term stress for me. One way I combated this stress was to schedule dedicated “mental health days” to reset my mindset and get in a better place. I spoke about this several years ago in my blog here. Decision fatigue is a real condition. What, if anything, do you do to combat this feeling in your life? 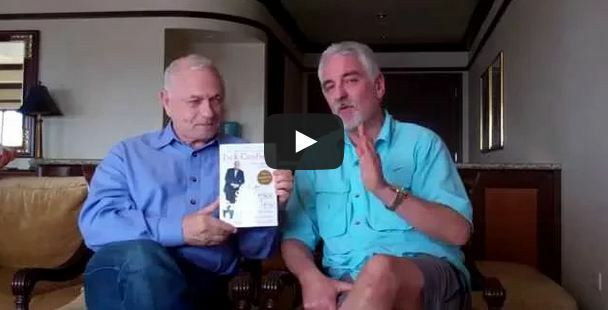 In this brief video filmed at a recent TLC (Transformational Leadership Council) conference, I talk to my good friend Raymond Aaron about our respective contributions to the newly revised version of Jack Canfield’s book THE SUCCESS PRINCIPLES. 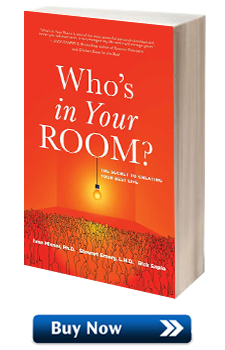 I am beyond honored to have been asked to contribute to the book and, because of that, I wanted my portion of the book to focus on the most valuable, useful, beneficial information I could possibly offer within my field of expertise. That information is the concept of the VCP Process®–how to build visibility and credibility to ultimately achieve longlasting success through profitability. Raymond, a world renowned success coach, offers eye-opening information about what blocks us from enjoying success through abundance and how to overcome those road blocks. Have you read THE SUCCESS PRINCIPLES? If so, I’m eager to hear your thoughts on the book in general or on a specific section or sections which resonated with you the most. Please share your thoughts in the comment forum below. Thanks! For more information on THE SUCCESS PRINCIPLES, please visit: www.TheSuccessPrinciplesBook.com. 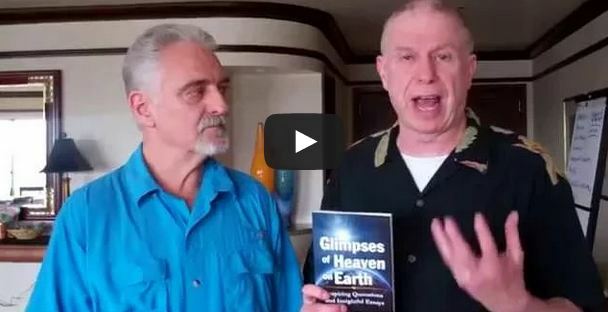 In this video I talk to my friend and fellow TLC (Transformational Leadership Council) member, Martin Rutte about Martin’s new book, Glimpses of Heaven on Earth. Watch the video now to learn about Martin’s ideas on how we can all focus on ten fundamental values and take small, simple, easy, concrete steps on a daily basis to mold our own life into one that mirrors our individual idea of heaven on earth in all aspects from business to relationships to personal purpose and more. After watching the video, think about what one action you might take within the next 24 hours to move yourself forward with beginning to implement Martin’s strategy for improving your business and/or life in general. We’d love to hear your thoughts and ideas so please share them in the comment forum below. Thanks so much and, as always, thank you for watching! For more information on Martin and his new book, please visit www.ProjectHeavenOnEarth.com. 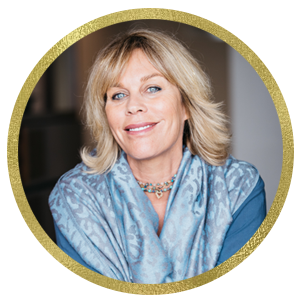 In this video, I talk to Marcia Wieder, CEO and Founder of Dream University, about the entrepreneurial mindset of having a vision and a dream for a business and how to successfully realize that vision and that dream. I met Marcia through the Transformational Leadership Council which we are both members of and, let me tell you, Marcia is truly the best of the best of when it comes to understanding this facet of business. Marcia explains that in business, dreaming is serious business; it’s the driving force for transformation and without vision, many companies fail. Watch the video for key pointers on how to help your business dream/vision come to fruition and to find out how to get three FREE Dream University e-books on the subject. Be sure to visit www.DreamUniversity.com for more information. 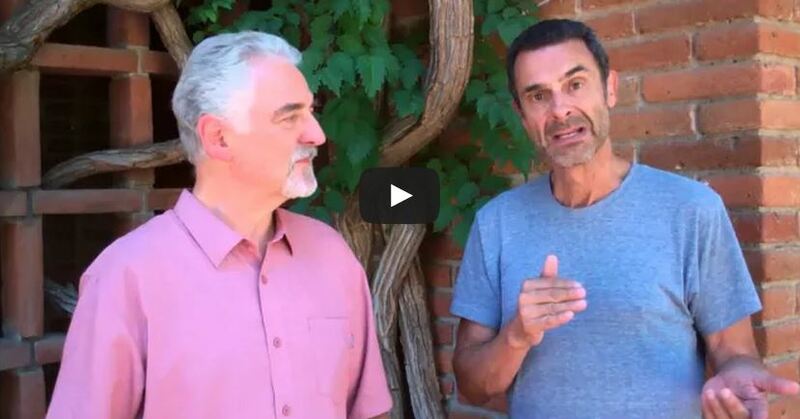 I had the pleasure of recording this video with my good friend Raymond Aaron while in Canada for the TLC (Transformational Leadership Council) Conference at the end of July and this is a must-see video for anyone wanting to build their business (which, if you’re reading this blog, more than likely describes you). Raymond says that if you’re having difficulties attracting the clients and the wealth that you want, it’s very likely that this is due to the fact that you’re in an ‘ocean of sameness.’ In other words, you might know how you’re different than your competitors and your clients may very well know it too, but to everyone else out there in the world looking at you, you look the same as every other professional that does what you do. Watch the video to learn about the easiest way to differentiate yourself using brand creation and brand polishing so you can get out of the ‘ocean of sameness’ for good. Also, be sure to visit www.Aaron.com to get a FREE copy of Raymond’s book, Double Your Income Doing What You Love. 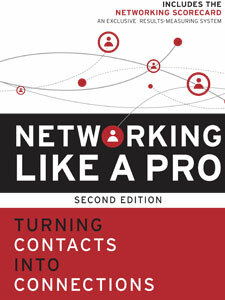 Very few people argue with the value of networking, so why do people resist doing it? Aside from all the excuses–I don’t have time, I’m not a good networker, I don’t like to network–what’s the REAL reason people resist networking? I was reading a book the other day called “Manifesting for Non-Gurus,” which was written by my friend Robert MacPhee (pictured at right) whom I’m in the Transformational Leadership Council with, and the book explains a concept which I think gets right to the core of this question–Comfort Zones. The real reason most people do not network is because it makes them uncomfortable. We’ve all heard about the concept of Comfort Zones before. However, Robert explains it in a very unique way. He talks about how our resistance to doing something new often shows up as wanting to continue to do what is comfortable–even if it is not working well for us. In outlining his “Manifesting for Non-Gurus” approach, Robert explains that a comfort zone exists when our beliefs about who we are match the results we are getting. Think about it . 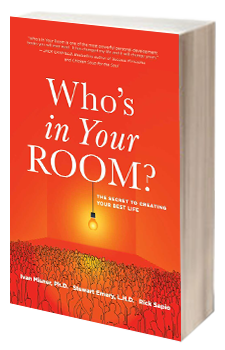 . . if you consider yourself to be a great networker, do you show up at a networking meeting or event and present yourself differently than someone who thinks of himself as a poor networker? Who is more comfortable? 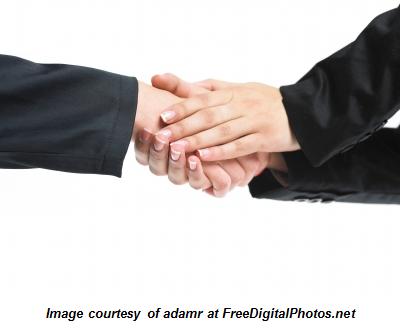 Are you a great networker? Hopefully you can answer this question with a highly-confident YES. Unfortunately, most businesspeople would probably answer with a resounding NO. Their image of themselves is of not being a great networker so, to remain comfortable, they will avoid networking, despite the fact that they know networking is valuable. Crazy, right? Yet, we all know people who do this. Fortunately, Robert explains that there is a very simple solution for anyone stuck in this kind of comfort zone. It starts with a simple decision that part of who you are is a great networker. To declare that you love meeting new people, sharing what you do, and helping them in any way you can. Start thinking about networking events as the valuable, exciting opportunities they are, instead of as dreaded situations that will pull you from your comfort zone. This is the way successful networkers see themselves and perceive networking functions and that is a huge part of why they are successful networkers. So, what about that voice in your head saying, “What about the evidence that seems to support the fact that I am not such a great networker?” Well, according to Robert, that’s just your comfort zone crying out to reel you back in because the “I am a great networker” statement doesn’t match your current results. If a “great networker” is who you want to be, the next step is to continue to declare that you are a great networker and “act as if” until the results you want start to show up! This is the same thing you have done your whole life with any new skill you successfully learned. For more information about Robert and his work, please visit www.ManifestingMonth.com.